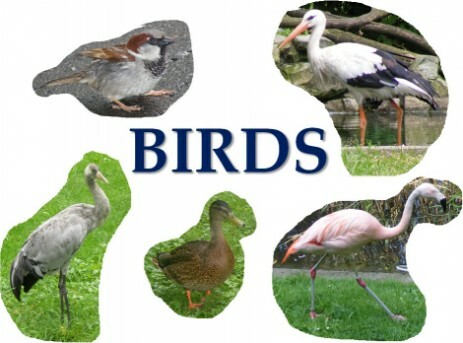 Introduce birds flashcards which contain labels and check the vocabulary with picture flashcards. Vocabulary: stork, sparrow, flamingo, swan, duck, crane, seagull, eagle, penguin. To check the vocabulary use birds flashcards without labels.